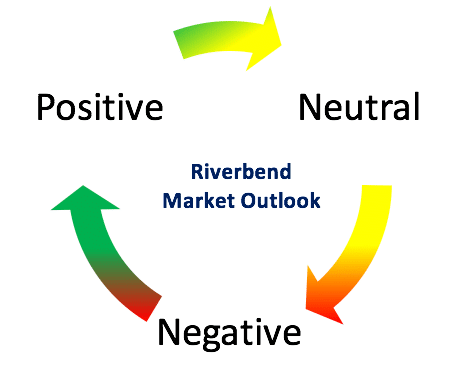 The Riverbend Moderate Growth Investment Strategy is based on statistical probability of historical market returns when compared to volatility and risk. When a neutral reading is indicated, the portfolio is invested in cash and will look for short-term opportunities based on historical market trends. 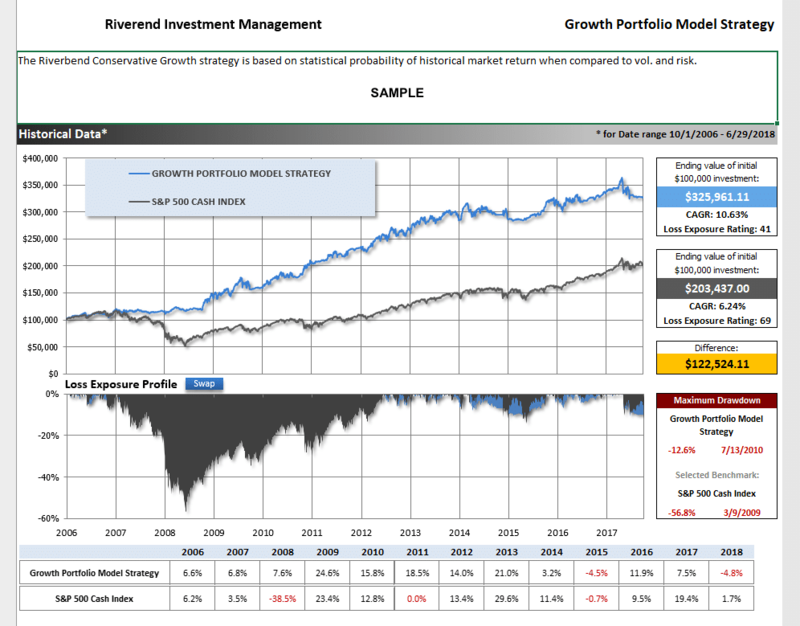 When negative reading is indicated, the strategy invests in a bond and/or cash strategy. The bond portfolio members are selected from 18 wide-ranging bond sectors on the basis of our proprietary strength ratings. To Request A Factsheet with Historical Performance Information, Please Click Here.